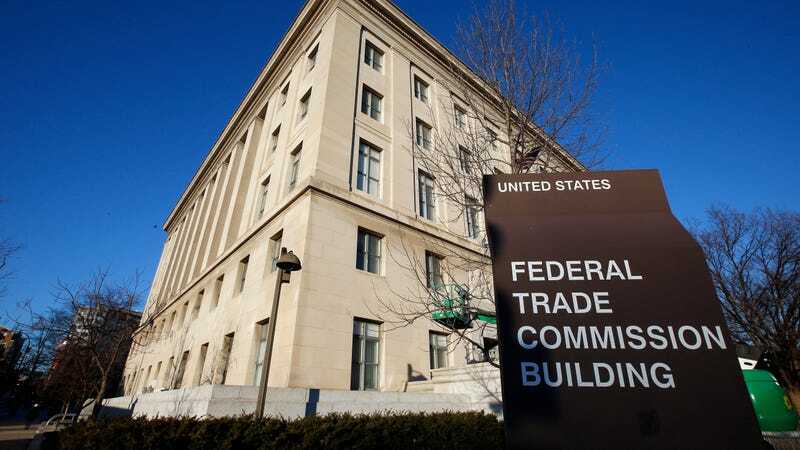 This Jan. 28, 2015, file photo, shows the Federal Trade Commission building in Washington. Andrew Smith, who was hired to the Federal Trade Commission's Bureau of Consumer Protection earlier this year, had a significant number of corporate rights. Public Citizens reveal the list of companies from which Smith must recuse himself from involvement in investigation numbers 120-and the names are huge. Facebook Twitter, Amazon, Twitter, Uber, and dozens of others. This information again raises concerns about Smith's corporate interests and how hey is able to perform the very function of his position with the FTC. Remington A. Gregg, citizen of public citizen, said in a statement Thursday that he had "never seen a list of conflicts so vast across so many industries." "Andrew Smith is literally not able to do his job, "he added. "He has a great deal of financial predators that are likely to break the law – and he will not be able to enforce the law against them. We need somebody who can. " That the FTC hired a corporate shill is on its own not new information, nor are it? Smith's Hire earlier this year was a point of contention among some of his fellow commissioners. Chief among these was Rohit Chopra, who questioned at the time whether Smith would "be able to participate in some of the FTC's high-profile and consequential matters of intense public interest." Sen. Elizabeth Warren was another staunch critic [Smith Smith's] Who said the agency's decision was "outrageous" and added that the FTC "should pick someone with a track record of protecting consumers, not companies that cheat people." But the sheer number of corporate titans that Smith Gregg noted he's able to do his job. Lisa Gilbert, vice president of legislative affairs with Public Citizen, echoed the sentiment. "The Federal Trade Commission should not be a consumer agent against predatory payday lenders and corporate bad actors. "Gilbert said in a statement. "This is one more example of the fox guarding the henhouse." It's great to know this is the kind of guy who's expected to have our backs.